Electrical testing should be an important part of the maintenance and servicing routine for any business.But how important is electrical testing? And what kind of role does it play? Well, here at Walker Electrical, we are Preston’s leading commercial, industrial and residential electrical experts. And we provide a range of high quality electrical solutions across Preston and the North West. This includes electrical testing. Portable Appliance Testing (PAT)- this involves testing all of your electrical appliances to make sure they are safe and in good condition. 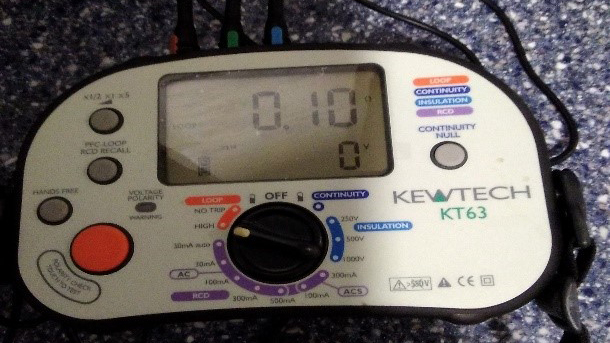 Fixed wire testing- instead of testing your appliances, this test looks at your circuits. After this test, you will receive an Electrical Installations Condition report. In the workplace, there are specific regulations in place about protecting the safety and security of your staff, and your customers or clients. Electrical testing provides a record that will help prove how seriously you have responded to these regulations. And this paperwork will also help in terms of insurance too. Safety- if your electrical appliance is about to fail, this could cause an electrical fire, or increase the risk of electrocution. Testing will help identify this issue, before it becomes a much more serious risk. And as a result, this could save lives. To book electrical testing for your property, get in touch with the professionals today, here at Walker Electrical.